In a couple of days I'll be jumping on a coach and heading back to Middlesbrough to visit my family for the week. Whenever I go back, I love staying at my Nana's house and find that, because there's no internet, it's the perfect place to get some reading done. With that in mind I've packed a few books from my TBR list to take with me. YA is massively my favourite genre and whilst I go through spells of enjoying fantasy books, lately I've been in the mood for some contemporary, festive romance. I didn’t get to celebrate Christmas with my family so it’ll be nice to prolong the festivities with these wintery reads. I’ve just finished reading Dash & Lily’s Book of Dares and rated it 3 out of 5 stars. Whilst the characters were oh-so charming I was left craving more romance so, I’m hoping there’s a little more of that in this book. 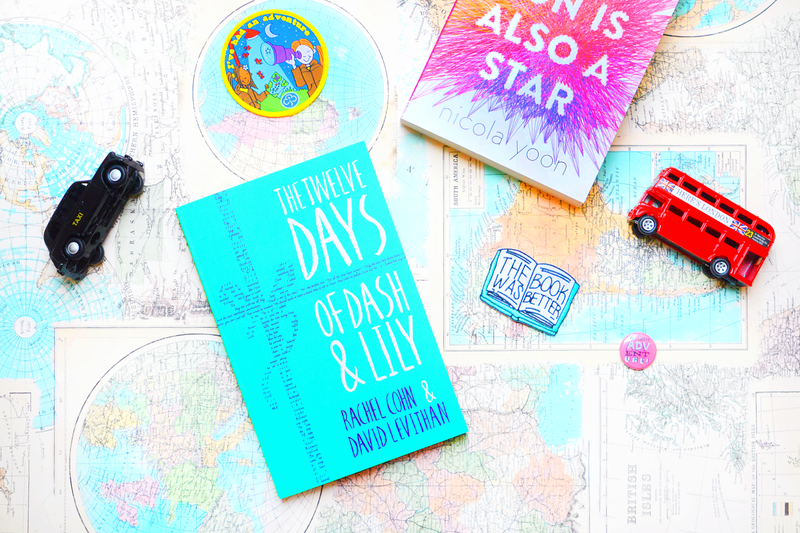 Twelve Days of Dash & Lily picks up 1 year later after Lily’s grandfather suffers a major heart attack, taking it’s toll on her usual sunny disposition. Her loved ones, including snarly Dash, then band together to rekindle her Christmas spirit. I’m so excited to delve back into Dash & Lily’s lives and look forward to seeing how the characters and plot have developed. Will the red moleskine make another appearance? I sure hope so. Every booktuber and there dog absolutely rave about Nicola Yoon, author of Everything, Everything so I thought I’d give one of her books a go. 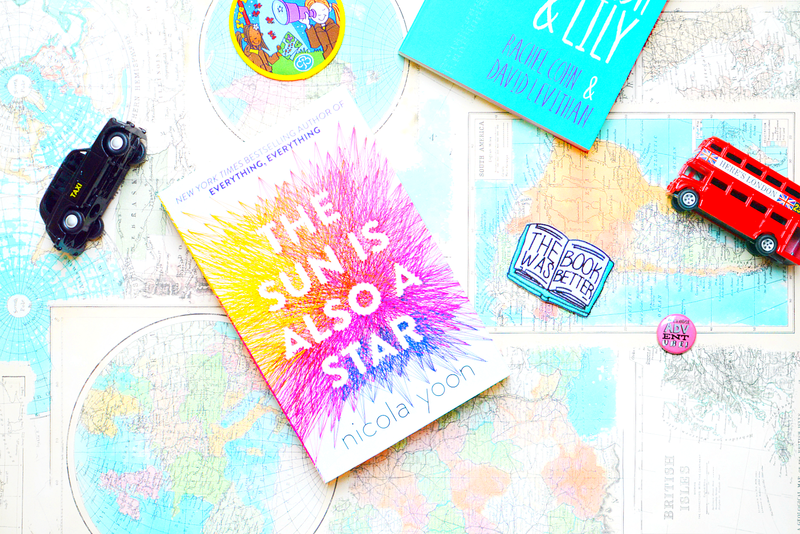 The Sun is Also a Star is a diverse contemporary read, that highlights the issue of immigration. It follows the story of analytical Jamaican girl Natasha, who is at threat of deportation and dreamer Daniel as they fall in love. It’ll be interesting to see how Nicola tackles such an important issue and it's bound to be a fascinating read. All my Christmases came at once when I got my hands on this free audio book. With 12 hours of short stories from some of my all time favourite authors including Rainbow Rowell, David Levithan and Stephanie Perkins, this will definitely keep me going on the coach journey home. (Is it just me who can’t read whilst travelling?). I take Sarah’s book recommendations as absolute gospel so when she suggested this to me, I simply had to pick it up. The synopsis didn’t give too much away so I’m really intrigued to read this and find out more. It focuses on main characters, Sierra and Caleb, as they battle to overcome all the misconceptions and suspicions that threaten their relationship. I didn’t get chance to read this for The Girl Gang Book Club this month so I thought I’d give it a go whilst I’m away. Let It Snow is a collection of three interwoven romances and I’m excited to see how these three stories and writing styles fit together. Those who love books they keep the books always with them even when travelling. They even don't need a companion on their travel. Books are enough for them.